Free offer from DownloadCrew. Full registration code or serial license key for AIDA64 Extreme Edition now 100% free. You may need download crew account (create for free) to get AIDA64 Extreme license key on this giveaway. Also found alternative free offer is the giveaway expires. 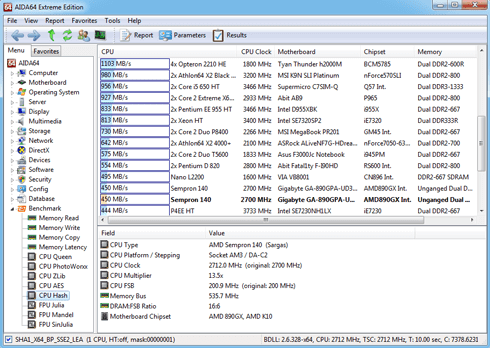 AIDA64 Extreme previously knows as Everest Ultimate is favorites tool for overclockers. It offer complete hardware report and features with monitoring tool for PC. AIDA64 Extreme features with tools to benchmark, troubleshoot, monitor hardware & software on your PC. Regular price 1-year license key the software $39.95 and now absolutely free. There is two active giveaway for this software. All offers is for a short time only. Use one of the link below to download for free. Giveaway Link AIDA64 Extreme: visit the page! Alternative link: visit the giveaway page! Get unique code for 1-user license key. All promo for a short time and ends soon. So, you must hurry. Interested?, go to the free offer page above. Login using DownloadCrew’s account. Or create it for free if does not have. Download the special installer with license key included. Install the software on you PC and activate soon. To download AIDA64 Extreme for free on Absiera requires reg code “CSANAJKYK4”. Use it to unlock download link and copy full license key. After giveaway expires, you can buy with coupon. The software offered with up to 33% discount for 3 year licenses. Use new AIDA64 Extreme coupon code to buy the software.